Massimo Bontempelli (1878–1960), poet, novelist, playwright and composer would become one of the literary giants of the twentieth century. The father of magic realism in Italy, he was associated with the futurist avant-garde and then launched his own influential literary movement, Novecento. Editor and creator of various journals, he collaborated with some of the greatest writers and artists of his day, from James Joyce to Giorgio De Chirico, Carlo Carrà, and Luigi Pirandello. Movement and change seem to have characterized Bontempelli’s entire life and work. He was born on May 12, 1878, the son of Alfonso Bontempelli, a railroad engineer, and Maria Cislaghi. He travelled widely with his parents as a youth, received a standard classical education, and began a career as a literature teacher and fiction writer. He became a war correspondent during World War I, enlisting as an artillery officer in 1917. During the war he became friends with a number of writers and artists who were members of the Futurist movement and soon became a prominent member of Italy’s avant-garde, editing the futurist journal, Il Montello, from the trenches. After the war, Bontempelli moved to Milan, where he spent evenings at Margherita Sarfatti’s literary salon, and there met Sarfatti’s lover, Benito Mussolini. He was an early founder of the Futurist Political Party and also soon became a collaborator in Mussolini’s socialist/intellectual activities. While many futurists bolted from Mussolini after his turn to the right in 1920, Bontempelli went on to become a prominent fascist intellectual through the 1920s. He separated from his wife, Amelia (Meletta) Della Pergola (then having an affair with De Chirico’s brother and Bontempelli’s friend, Alberto Savinio) and moved to Rome in 1921. He continued to write plays, poetry and fiction, was a regular correspondent for Il Tempo, Il Mondo, Il Corriere della Sera and La Gazzetta del Popolo, and became a founding member of Luigi Pirandello’s Teatro d’Arte. In 1929 he founded Rome’s first cineclub. Yet Bontempelli was never satisfied to remain still and defined. In 1926 he broke with the futurists, launching his own literary movement, Novecento, and its journal, 900: Cahiers d’Italie e d’Europe. Among 900’s contributors were James Joyce, Marinetti, Chekhov, Rilke, Tolstoy, Virginia Woolf and Alberto Moravia. His affinities with Mussolini and the fascists were also constantly changing. 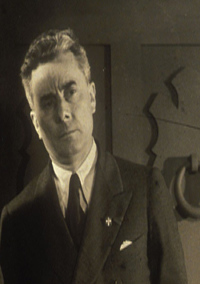 In 1925 he refused to sign Giovanni Gentile’s fascist intellectual manifesto yet was named secretary of the Fascist Writers’ Union in 1926 and a member of the Italian Royal Academy in 1930, nominated by Il Duce himself. He lobbied to make Novecento the prime vehicle of fascist culture but throughout the 1930s ran afoul of extreme right-wing members of the party, yet was repeatedly protected by Mussolini. During this period he also maintained a close personal and professional relationship with Luigi Pirandello, with whom he became an international cultural ambassador for the fascist regime. His reputation in the Anglophone world continued to grow, with regular articles on him appearing in the New York Sun and T.S. Eliot’s Criterion, and his own work published in the United States in The Living Age. In 1938, however, he declined a fascist professorship at the University of Florence, offered to him to replace the ousted Jewish scholar Attilio Momigliano, and later in that year at Pescara found himself in trouble with the fascist hierarchy for some politically ambiguous commentary during a speech commemorating Gabriele D’Annunzio. Facing further censure, he was forced to leave Rome and settled in Venice. By 1943, despite his rehabilitation, Bontempelli had moved far to the left — and back to Rome — and in 1943, soon after Mussolini’s fall, became a member of the Communist Party. A special target of fascist death squads, he went into hiding until the liberation of Rome in 1944. After the war he was elected a senator from the leftist Popular Front Party, leading to bitter accusations over his fascist collaboration and of his long being the “king of chameleons.” By 1950 his controversial past led him to retire from public life and from publishing. Despite his winning the prestigious Premio Strega in 1953, he remains to this day a controversial, little studied and seldom translated writer. A champion of the future and of shedding his multiple pasts, Bontempelli died mourned by his long-time companion Paola Masino and a few close friends on July 21, 1960, probably from Alzheimer’s.